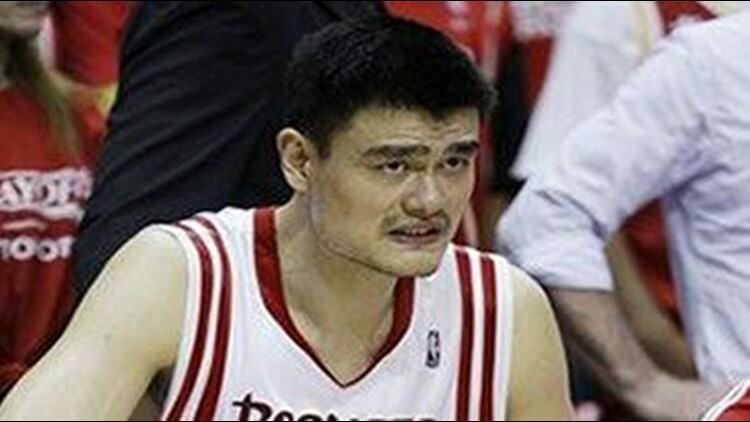 Yao Ming will miss the rest of the playoffs because of a broken left foot. The Houston center limped off the court late in the Los Angeles Lakers' 108-94 victory over the Rockets on Friday night. Yao missed Saturday's practice to get treatment and the team said the 7-foot-6 All-Star would be re-evaluated on Sunday. But the Rockets announced later Saturday night that further examination of Yao's injury revealed a hairline fracture. The Rockets say Yao will need 8-12 weeks to recover, though no surgery is required. The Rockets and Lakers play Game 4 of their Western Conference semifinal series on Sunday. The Lakers lead the series 2-1. Yao had 19 points and 14 rebounds in Friday's loss, his sixth straight double-double. But he was noticeably limping by the fourth quarter and finally hobbled off the court in the final minute, with the outcome decided. Yao has been the focal point of the Rockets' offense since Tracy McGrady had season-ending knee surgery in February, and Houston finished 21-8 without McGrady. Yao has been plagued by serious leg and foot injuries in each of the previous three seasons, but played in 77 games in 2008-09. His left foot has given him problems before. Just four games before the end of the 2005-06 regular season, Yao broke the fifth metatarsal in the foot in Utah and missed the playoffs after surgery. In February 2008, Yao sustained a stress fracture in his foot and missed the postseason again, returning in time to play for host China in the Olympics. After the Rockets' practice on Saturday, Ron Artest said Yao told him that he'd be ready for Game 4. However, coach Rick Adelman prepared his team as if Yao wouldn't be available. "We have to play to our strengths," Adelman said. "Everybody has to play to their strengths and understand what they can do to help us win. You do it collectively. There's strength in numbers, and that's what we have to understand." The Rockets went 3-2 without Yao during the regular season and 19-8 without him in 2007-08. A total of 12 players missed 179 games for Houston this season, and the Rockets still managed to go 53-29. "We've won without people all year long," Adelman said. "It's just one more case. You can't dwell on who's not here. You have to dwell on who is here. These guys truly believe, if we go out and play the way we're capable of playing, we can win a game."